Stanley is a popular holiday and tourist destination with plenty of cultural destinations on offer. Situated on the stunning coast line of North-West Tasmania it is the perfect place for some rest and relaxation. Stanley is a quaint town of preserved colonial buildings, excellent restaurants and cafes and quality B&B cottages. The iconic Nut is an enormous flat topped, volcanic plug rising 150 metres straight up from the water's edge. Stanley Seaview Inn is a multi award winning AAA rated 3 ½ star property in the peaceful historical fishing village of Stanley, at the Western end of Tasmania’s North coast. Recent refurbishments provided guest rooms with modern décor, furnishings and bathrooms, complimented by flat screen TV’s and fast, free reliable wireless internet Wi-Fi. Accommodating up to 6 guests comfortably, Touchwood Cottage has 3 bedrooms comprising 2 doubles and a twin. With original pressed metal ceilings and wooden floorboards, you will love the charm of this cottage. Touchwood also boasts a colonial style kitchen with wood heating and a cosy lounge-sitting room furnished in the style of the era. Pines Cottage (sleeps 4) Queen and 2 singles $200 p/n. '@ The Beach – Stanley’ is heavenly. Let yourself unwind as the surf crashes ashore at Godfrey’s beach, voted one of the best beaches in Australia, just outside your front door. 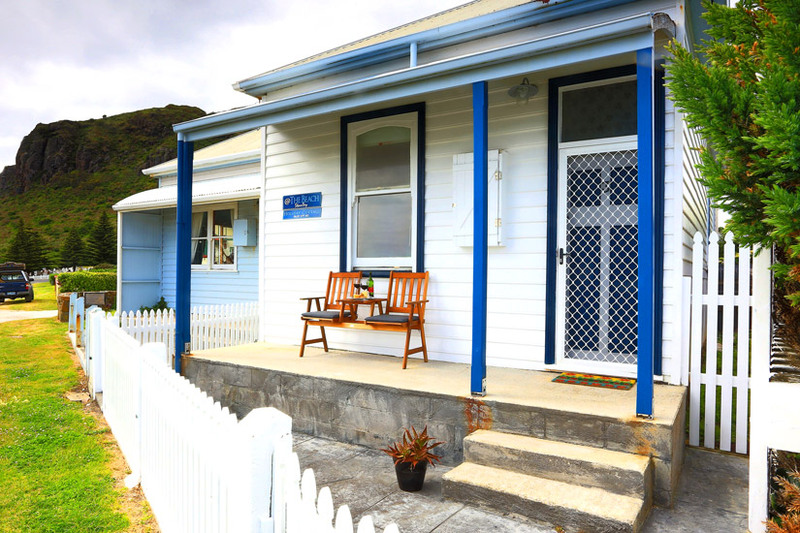 With a choice of two cottages, ‘@ The Beach – Stanley’ can place you right at the beach, or in the heart of Stanley village. ‘not quite @ the beach’, is centrally located with easy access to all Stanley’s delights. Breathe the cleanest air in the world right here at the gateway of the famous Tarkine Wilderness. You are literally at the very edge of the world. Self contained 4 bedroom cottage, sleeps 7 people. Oldest European building in North West Coast built in 1828. Set on 120 acres in Stanley, North West Tasmania. Surrounded by beautiful country side and only minutes to the historic township of Stanley.